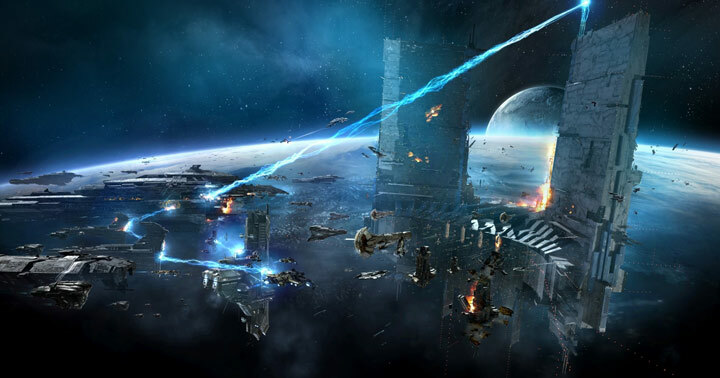 The final Triumvirate Keepstar battle took place on 5th of February 2018. DRF, Legacy and friends (attacking side) had successfully brought the station in to it’s final timer, but with heavy losses. When the battle began, the defenders (Triumvirate, Lumpy and friends) almost initially secured the station as attackers struggled to pause the timer. As the clock ticked, more fighters and subcapitals were brought against the station. Defenders were struggling against an overwhelming force, but had the advantage of capital class dreadnoughts and citadel defence systems, that rained down destruction against the attackers. Battlelines were disrupted by third partying fleets and an Pandemic Horde fleet was reportedly infiltrated by spies, that smartbomb-trapped tens of battleships to their doom. As time went on it became clear that the attacking side would take the field. Triumvirate and friends extracted most of their capitals to safety and the Keepstar was eventually destroyed.